Barring few countries like Russia, almost all the countries are running on capitalistic economy model. Countries professing mixed economy are also capitalistic in reality. Able individuals in capitalistic model have been able to foster huge empires for them and have turned super rich and nowadays super rich manifest a fashion named "Philanthropy". 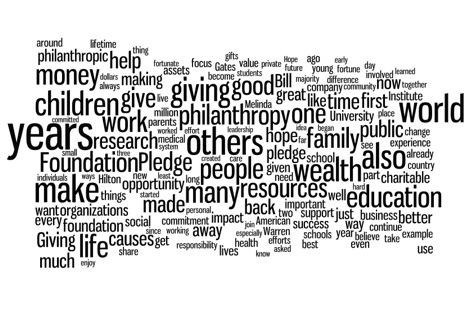 Not always philanthropy is a fashion but sadly in most cases it is. Philanthropy ultimate aim is to help the needy and poor people. Any fashion serving this ultimate purpose is fit and fine and is not unethical but when philanthropy is done keeping any particular interest in mind be it business or monetary it defeats the ultimate purpose of helping the needy and poor. The later is a plot which is going to get unearthed sooner or later thereby seeping dissatisfaction in the hearts of the needy. So it can be said that capitalism provides the opportunity to excel and manifolding that opportunity through illegitimate means(philanthropy with a bad intent) is totally wrong and unacceptable.